Give the developers credit: when most people think of flying squirrels and matching game mechanics (if, indeed, anyone has ever paired them before) pinball is not the first thing that comes to mind. 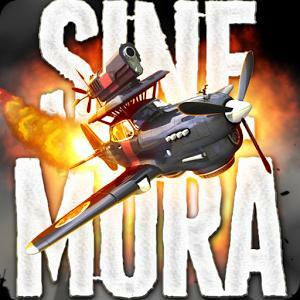 Momonga is more like a Zelda-style action game in which the primary motive force just happens to be conveniently-placed pinball paddles. The design of the stages - or tables, if you will - makes for some interesting gameplay. 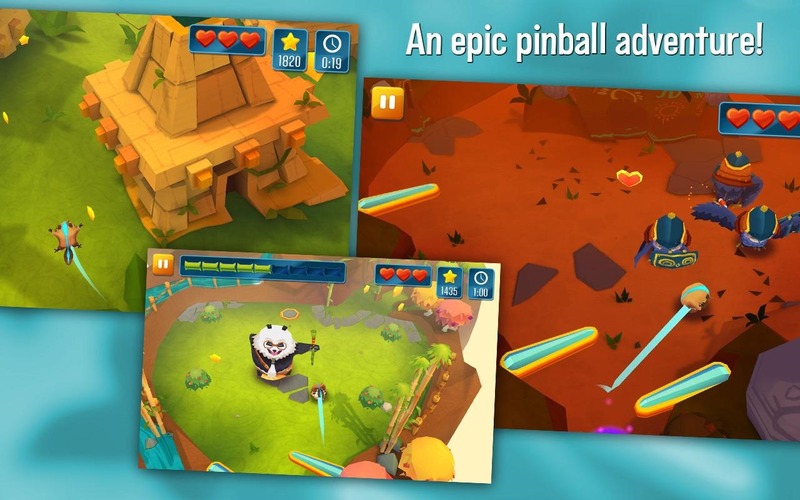 Momonga is a unique pinball game, where you bounce through different worlds. On the way, you team up with friends to defeat enemies and conquer bossfights. 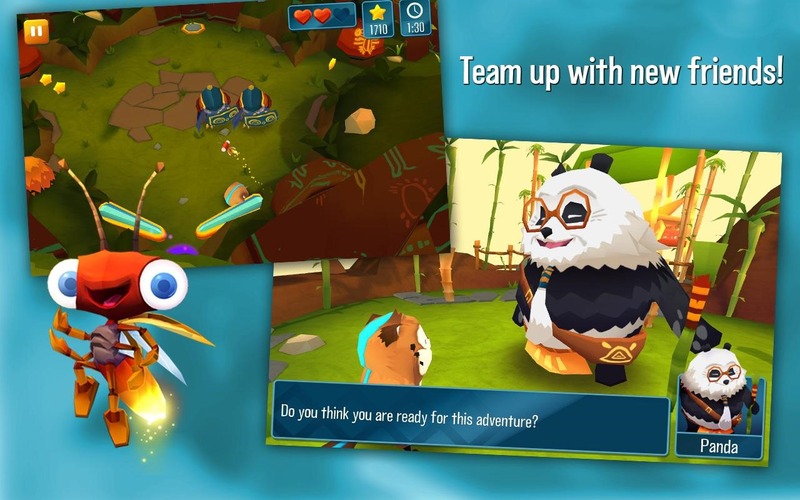 A little flying squirrel takes on the forces of evil - join Momo, Panda and Fry in a quest to save the momongas from the claws of the evil owls. Momonga Pinball Adventures is a different kind of pinball. Instead of regular cabinets, you bounce a flying squirrel through different levels. Imagine if Twister was played on a tablet, with digits instead of limbs. That's the gist behind Noodlecake's Bloop, which is a sort of Hungry Hungry Hippos game with a very simple premise. 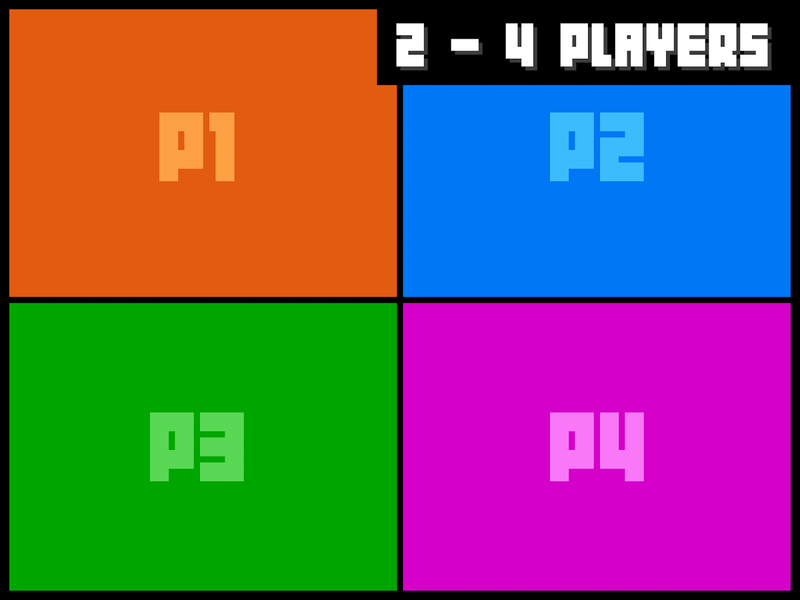 Up to four players tap their corresponding tiles, weaving, dodging, blocking, and generally pushing around the other three in an effort to tap the ever-smaller surface area. Check the video for a good demonstration of this live local multiplayer in action. 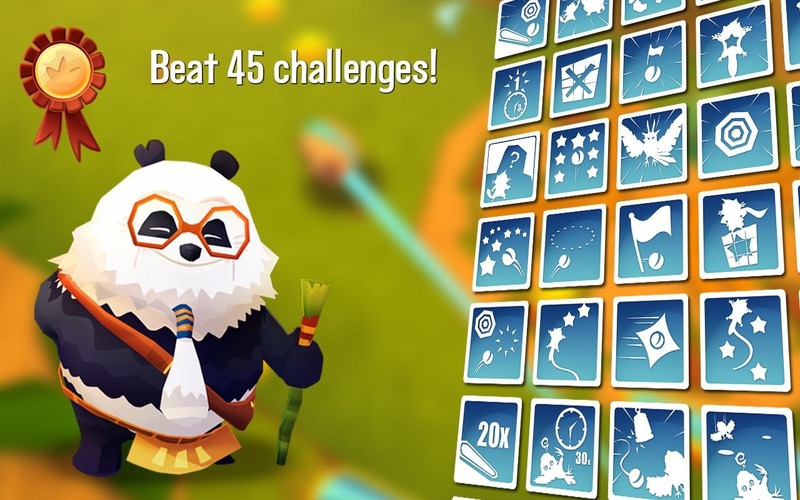 WARNING: HAND COLLISION IMMINENT — Bloop is a fast, frantic touch game for Android. 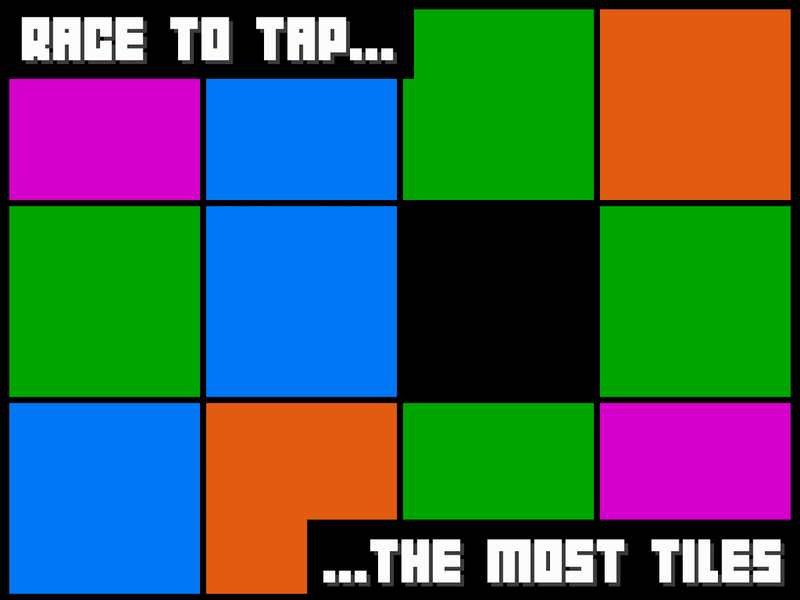 Two, three, or four players race to tap the most tiles...at the same time! 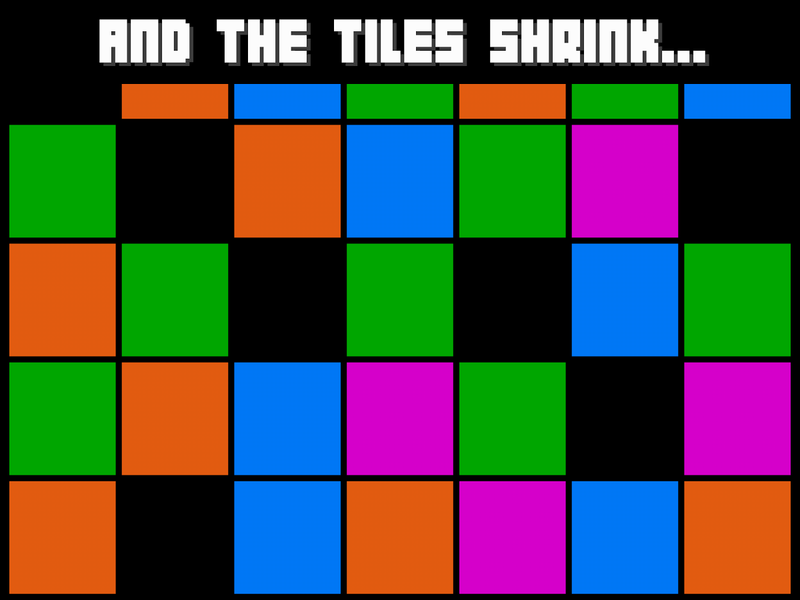 Easy at first, but soon the tiles shrink. Hands collide. Fingers cross. Fireworks! Each color plays a unique BLOOP sound. Hear your symphonic success or dissonant disaster. Bloop is a great ice breaker, so bring this onomatopoeic adventure to your next party! Our Noodlecake cup runneth over today. The second new game from the retro publisher is a simple one, kind of like the opposite of Frogger. 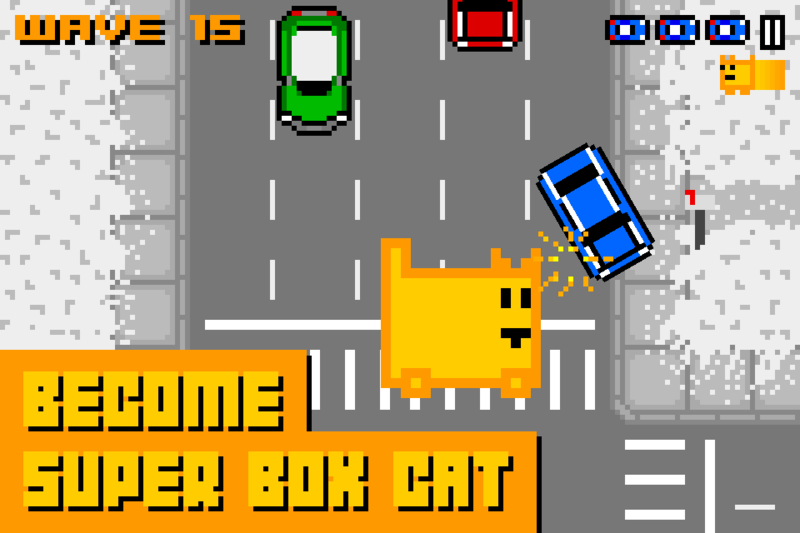 You're an indestructible cat (shaped like a box for no particular reason) tasked with making a mess out of local traffic. Smash enough of them and you get powerups and costumes. Well, the box with ears is colored differently - I assume those are costumes. 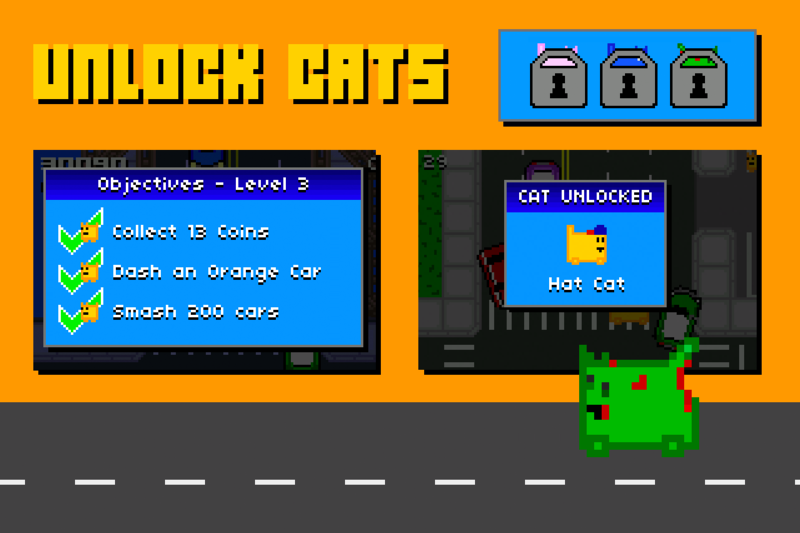 Box Cat is a retro arcade smasher created for Android. 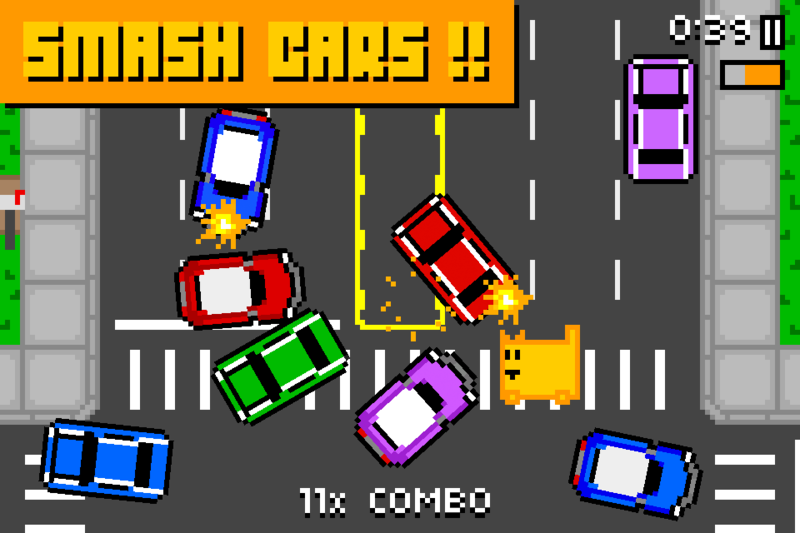 Smash into cars and create traffic mayhem! 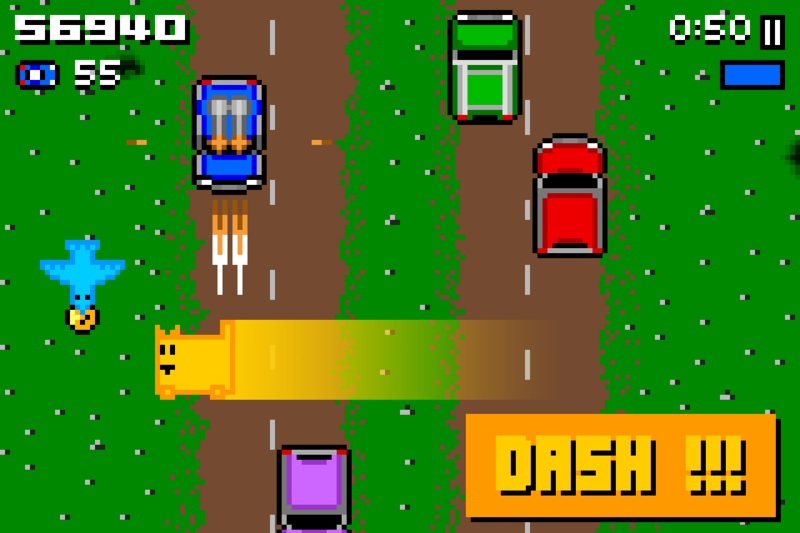 Drive Box Cat towards oncoming cars with tilt or touch controls. 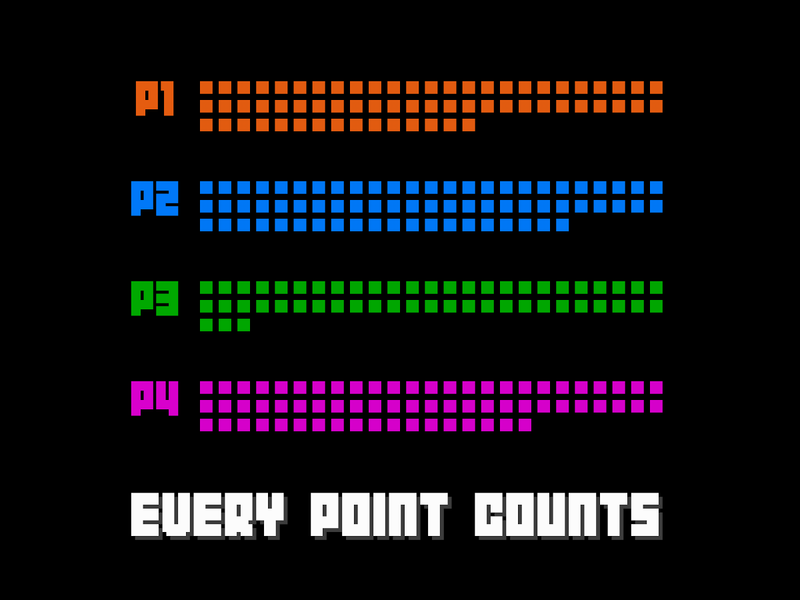 Progress through Adventure mode to complete achievements, unlock new Cats and discover the world of Box Cat. Battle waves of cars and trucks in the relentless Survival Mode. Enjoy life while smashing through 7 lanes of heavy traffic in Rush Hour mode. Kingdom Rush is one of the better-known tower defense games available for Android, and as far as I can tell, it's the first one to come to Google TV. There aren't a lot of games available for Google's red-headed stepchild of a set-top box anyway, so if you're desperate for something new, it's a free download. 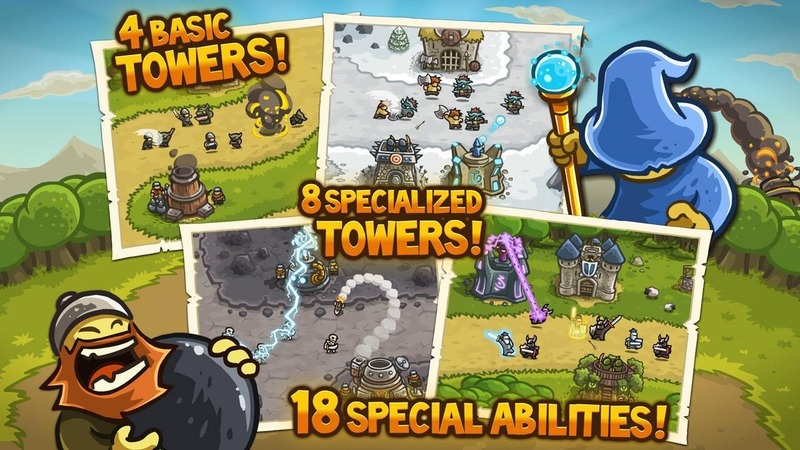 Get ready for an epic journey to defend your kingdom against hordes of orcs, trolls, evil wizards and other nasty fiends using a vast arsenal of towers and spells at your command! 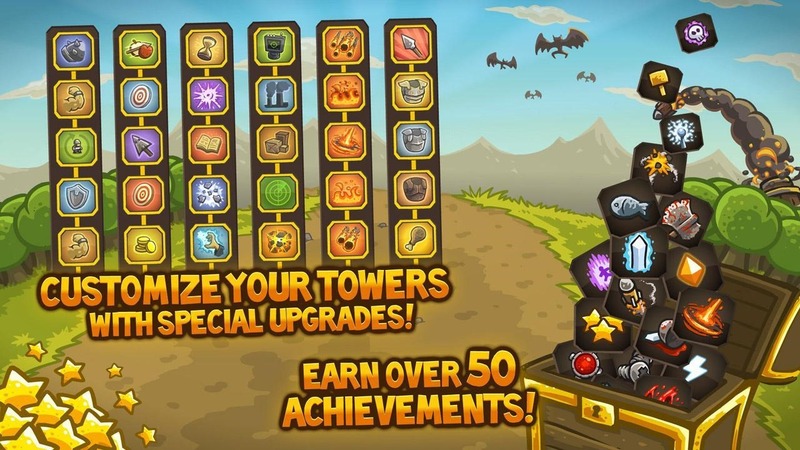 Fight on forests, mountains and wastelands, customizing your defensive strategy with different tower upgrades and specializations! 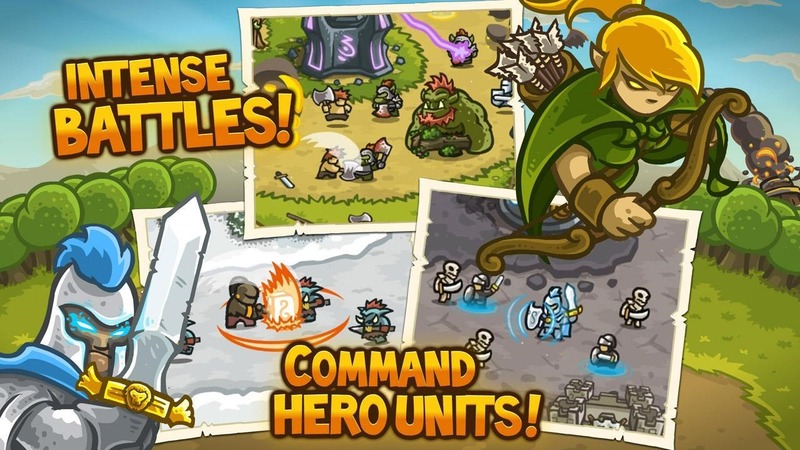 Rain fire upon your enemies, summon reinforcements, command your troops, recruit elven warriors and face legendary monsters on a quest to save the Kingdom from the forces of darkness!